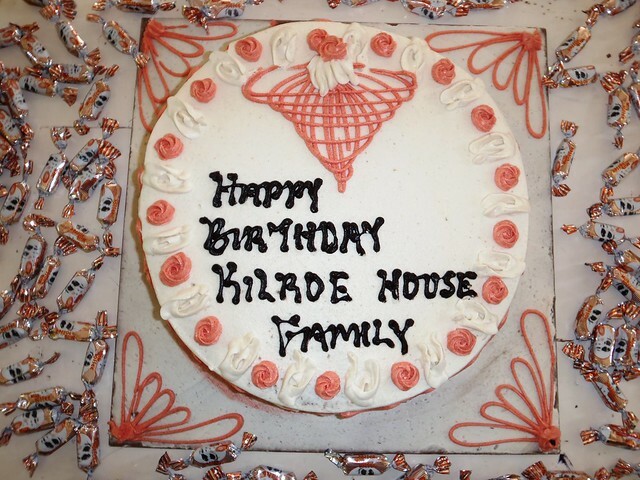 The 8th of March is a very special day for the children living in Kilroe House, it is the birthday of Tim Kilroe (R.I.P) and also the day the children celebrate a joint house birthday. We now have eleven children living in Kilroe House as Precious has gone across to the girls wing of The Transition House and Anne Njeri has been reunited with her extended maternal family up country. 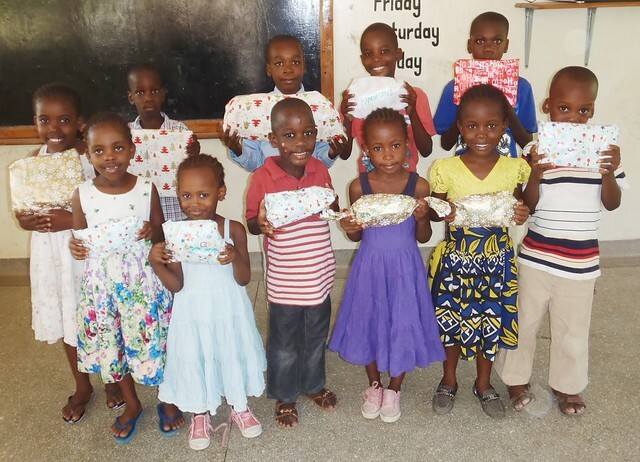 Mama Tuta and Aunt Elvina ensure the children in Kilroe House are treated respectfully and shown love on a daily basis, the children reciprocate by behaving well whilst helping each other all the time. 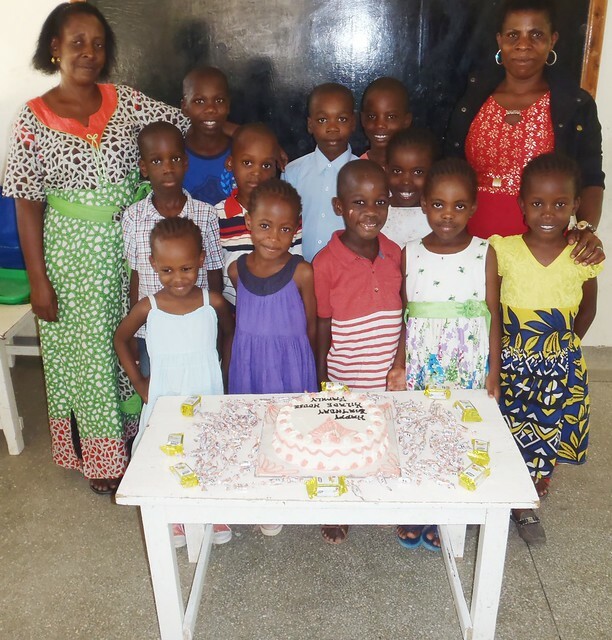 As the 8th March fell on a Wednesday it was decided that they would not celebrate until the following Sunday when all the children dressed in their best clothes and after returning from Church, Mama Mercy presented them with a birthday cake and a present for each child. 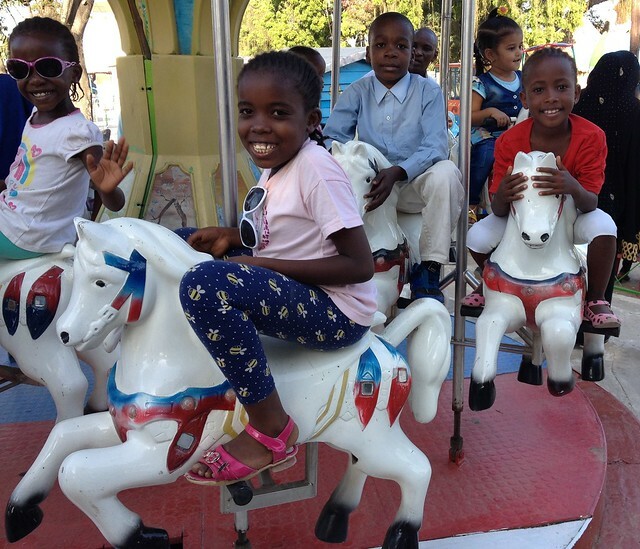 There was a very special treat in store for the Mama, Auntie and eleven children, a trip to Lunar Park in Mamba Village!! 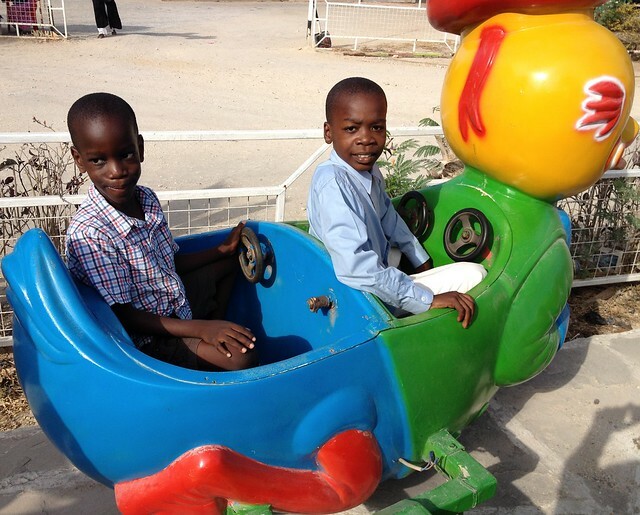 The children were so excited as they boarded the bus to head into Mombasa, they often pass the park on the way to the markets and hospital appointments so actually going there for a day our was beyond their expectations. 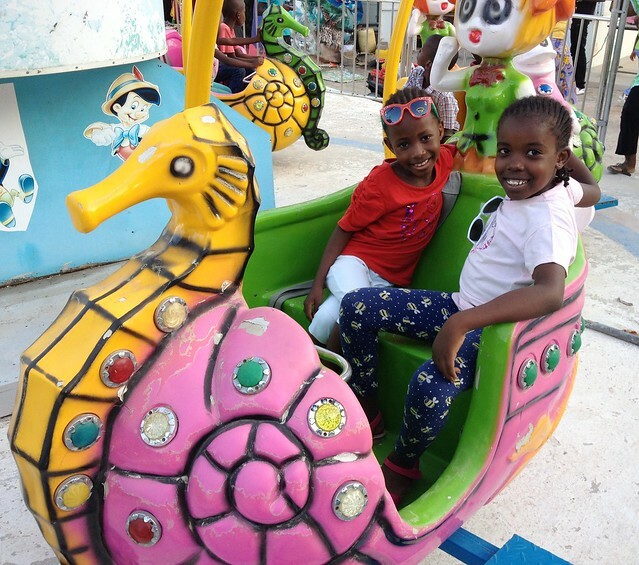 Luckily the management of the park had extended a generous discount to the entrance price so armed with drinks and snacks the children alighted the bus in a matter of minutes as they joined the admission queue. 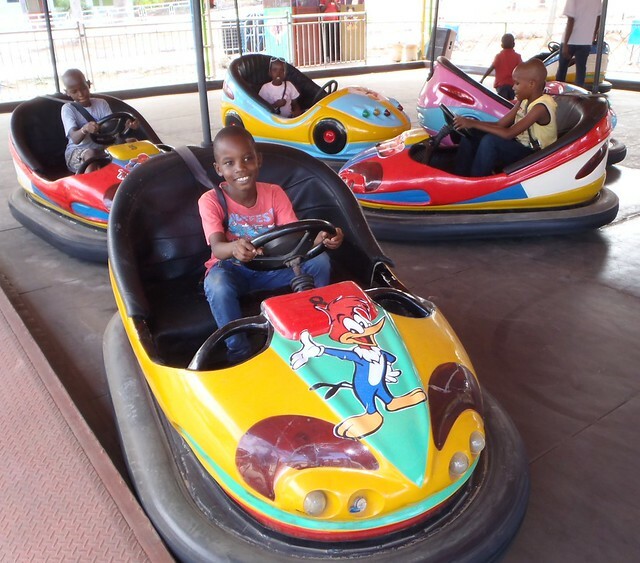 All the children including Mama Tuta and Auntie Elvina went on each & every ride, they did not mind the searing Mombasa heat but enjoyed every minute of their day. The staff at Lunar Park even remarked that we should coach Brendan to play football in a midfield position as they had never saw a child with so much energy, Mama Tuta agreed with that indeed! 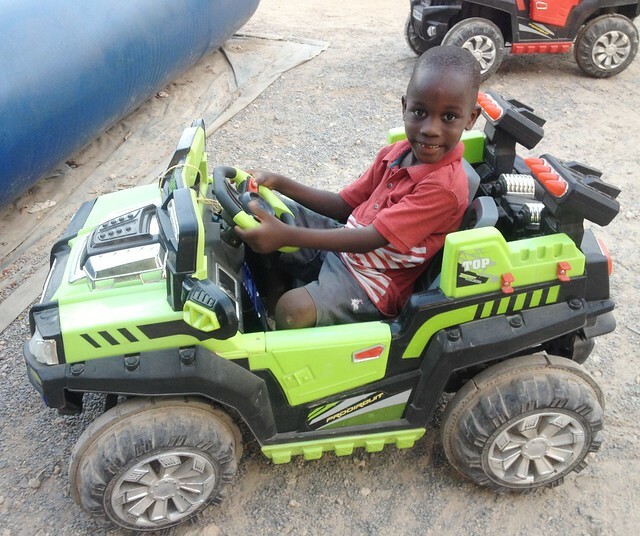 After a very enjoyable afternoon the children headed back to The GLO at 6pm, all were exhausted apart from Brendan who spoke all the way home about every single ride he went on. It was a day to remember for the children in Kilroe House, a special word of thanks to the Kilroe Family for their continued support for our project which is making a massive difference to the children in our care. What a wonderful day out. All of the children look so happy and enjoying it so much.